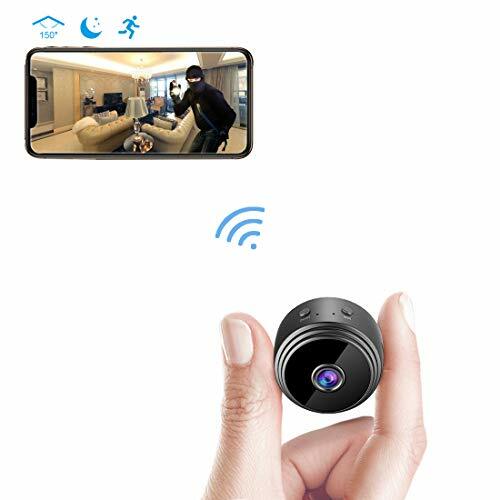 AREBI WIFI SPY CAMERA OF THE LATEST VERSION: This AREBI spy camera A10 Plus is the world's smallest WIDE ANGLE WiFi cam with built-in magnet. Thanks to the HD 1080P and 150 degree wide angle lens, the AREBI spy camera captures details clearly and give you a greater scope of view on everything that's happening in the room. The extremely compact design makes it easy to hide around anywhere like in the home or office. Perfect as surveillance camera in: Office, Home and Car etc. 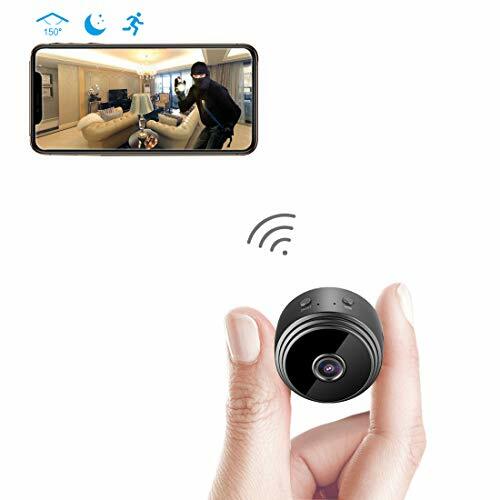 EXCELLENT LIVE STREAM NANNY CAM: Just download free AREBI WiFi Hidden Camera App on your Apple or Android phone and have the AREBI spy camera configured with router Wi-Fi (2.4 GHz only). Now you are ready to view LIVE video remotely by your Smartphone, Tablet or Computer from ANYWHERE in the world. 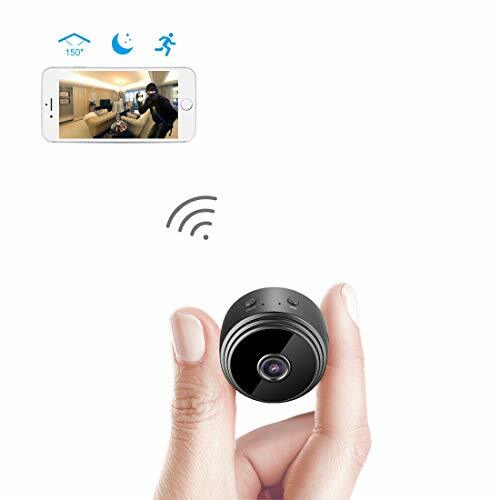 Keep an eye on your home and office as nanny cam 24 hours a day. With the internal magnet, AREBI Hidden Camera can be adsorbed on any iron surfaces easily. A magnetic mount is also offered FREE. 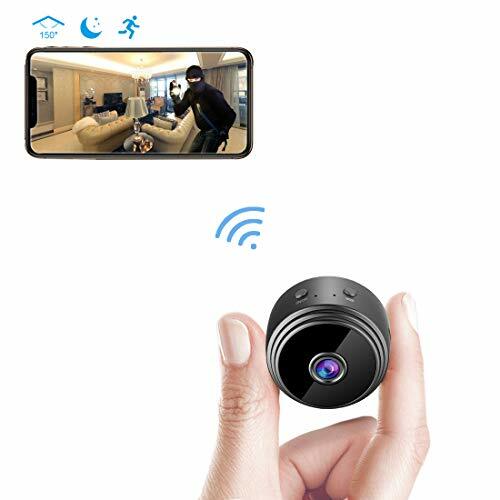 RECORDING WHILE CHARGING WIRELESS SPY CAMERA: Besides the built-in rechargeable battery, AREBI spy camera also supports Recording while Charging which allows you to stay connected all the time. Just get the hidden camera plugged into USB charger or power bank for continuous recording. You'll have peace of mind knowing that you can watch over your valuables by live stream at any time. MOTION ACTIVATED SECURITY HIDDEN CAMERA: With the just upgraded intelligent motion detection, now you can set the sensor sensitivity manually. 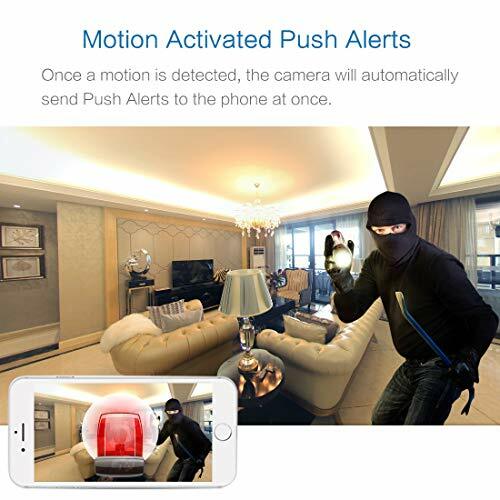 Once a motion is detected, the hidden camera will send Push Notification Alerts to your phone with an image shot by it. You can log into AREBI Hidden Camera App to see what's going on in real time. Never worry about missing something important with the AREBI Spy Camera. 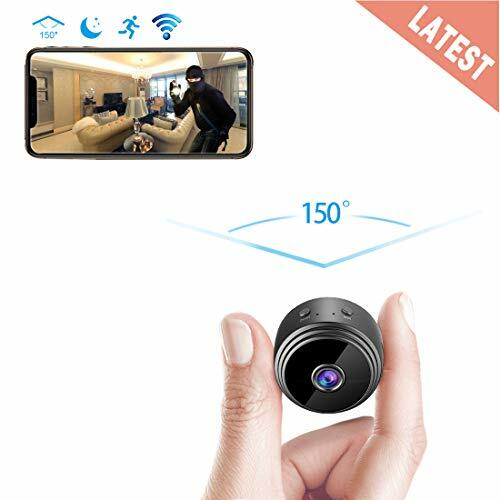 NIGHT VISION MINI HIDDEN CAMERA: The device features covert design of 6 infrared IR lights with non-luminance, 5M night vision distance and remotely switching on or off via App on phone. It makes AREBI mini hidden camera able to capture clear video even in total darkness. Thus you can see a live feed at all hours of the day or night just as you want.